How much is John Deacon Worth? John Deacon Net Worth: John Deacon is a retired English musician who has a net worth of $125 million. John Deacon is a multi-instrumentalist who is most widely recognized as the bass player for the British band, Queen. He also played keyboards and sang backing vocals on some tracks and wrote some of the band's greatest hits including, "Another One Bites the Dust", "I Want to Break Free", and the bass riff for "Under Pressure". John Deacon was born on August 19, 1951, in Oadby, Leicester, England. When the band was formed in London in 1970, Deacon was the last to join Queen and also the youngest member of the band, being only 19 years old. The three other original members were Freddie Mercury (lead vocals, piano), Brian May (guitar, vocals) and Roger Taylor (drums, vocals). 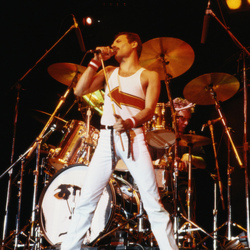 In addition to playing bass guitar, Deacon also wrote a number of Queen's hit singles, including "You're My Best Friend", "Spread Your Wings", "Back Chat", "I Want to Break Free" as well as the band's biggest selling single in the US, "Another One Bites the Dust". What's more, he occasionally provided backing vocals during live shows. The work with the band was initially influenced by progressive rock, hard rock and heavy metal, after which they gradually ventured into more conventional and radio-friendly works, incorporating further diverse styles into their music. Ironic is the fact that the death of lead singer Freddie Mercury in 1991 gave Queen a new lease of life. The Mercury effect continued one year later with The Freddie Mercury Tribute Concert. 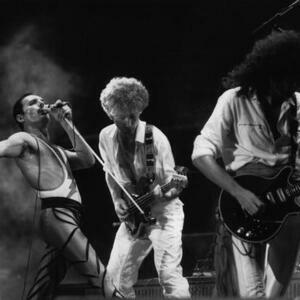 Deacon performed just two more times with the remaining members of Queen, in a charity concert in 1993 and a one-off rendition of "The Show Must Go On" in 1997 with Mercury's friend Elton John at the opening of the Bejart ballet in Paris. Following these performances, he decided retire from music. However, he did re-appear only briefly by joining his ex-band mates in October 1997 for the recording of the final Queen song "No-One but You (Only the Good Die Young)", included in the Queen Rocks album released a month later. What Was Freddie Mercury's Net Worth At The Time Of His Death?